22 March marks World Water Day, when millions of people around the world raise their voices each year to highlight those struggling to protect rivers and waters. 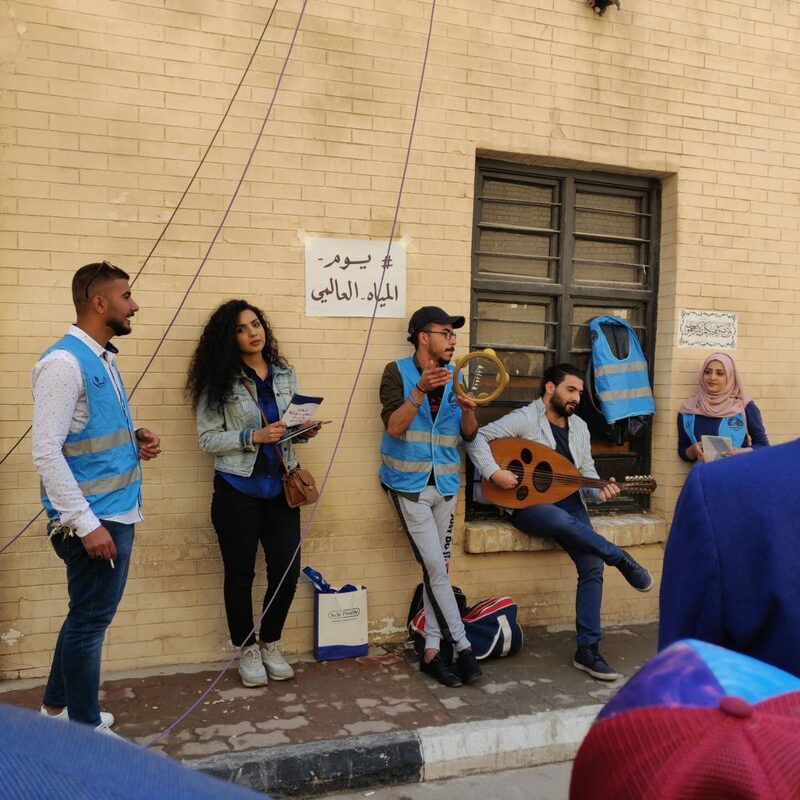 In Baghdad, the Tigris River Protectors Association, in collaboration with the Arts for Peace team, organized an event on Mutannabi Street on 15 March to raise awareness about the dangers facing the Tigris and Euphrates rivers. 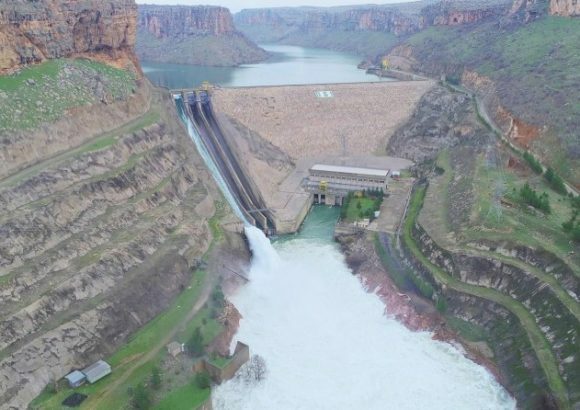 The event comes after recent statements by Turkey authorities expressing their intent to begin operating the Ilisu Dam on the Tigris River next June. This global day is an opportunity for millions around the world to both celebrate the achievements of the global movement to protect water and rivers, and recall and review the ongoing threats to water supply. These issues demand global attention to deal seriously with water security issues and associated food security issues. This is an important occasion to remind the global public of the dangers of dams built on rivers, their damage to biodiversity, and of the disasters caused by pollutants that destroy both rivers and seas around the world. Global civil society stands with one voice to denounce the behavior of using water as a weapon by some countries against their regional neighbors. Global corporations are also at fault, as they seek massive profits by controlling water resources. These greedy corporate ambitions come at the great expense of human health interests in Iraq and around the world. World Water Day requires us to take to the streets and protest, and demand from decisionmakers improved water policies and actions. It is a day to educate each other about the threats surrounding rivers and to learn of better practices to solve water and energy problems. It is a day to demand the removal of dams, replacing them with more sustainable and environmentally-friendly water management systems. Above all, World Water Day requires us to stand together: Through solidarity and collective action, we show that these water issues are both local and global in scope. In Iraq, environmental advocacy and water protection groups in the cities of the Tigris and Euphrates rivers are working together between 14 and 22 March to raise awareness about the crucial issues associated with sustaining everyday life on this land, and to discuss the disasters that will soon destroy any chance of environmental sustainability. 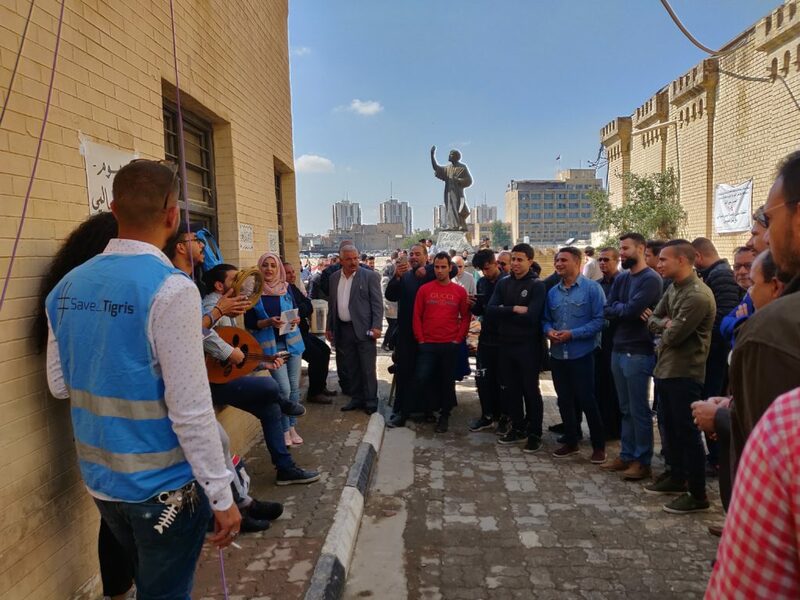 Other water protection activists, in different Iraqi cities outside of the Tigris and Euphrates areas, are also active in reviewing the pollution problems facing their cities and the effects of wasteful water consumption. The dangers of filling the Turkish Ilisu dam on the Tigris River are clear. We again condemn this imminent action and demand that the Turkish and Iraqi authorities take into account the humanitarian interest of the peoples of Mesopotamia. Countdown to Mesopotamian Water Forum 2019: What Are the Threats to Water Quality and River Health in the Tigris-Euphrates Basin?Will Iraq lose its benefits from Shatt al-Arab River to Iran?